Zambia’s planned mining royalty increases could lead to more than 21,000 job losses and operators cutting $500 million in capital spending over the next three years, an industry lobby group said. Members of the Chamber of Mines, which represents companies including Glencore Plc, First Quantum Minerals Ltd., Vedanta Resources Plc and Barrick Gold Corp., will have to consider “scaling back substantially” their operations if the proposed increases proceed as planned on Jan. 1, it said in response to questions on Monday. The threat ratchets up risks for the southern African nation that is grappling with rapidly increasing public debt, while trying to curtail a stubbornly high-budget deficit. The government has responded to previous threats of job cuts by mines with its own warnings of taking over mining licenses, but has not acted on them. 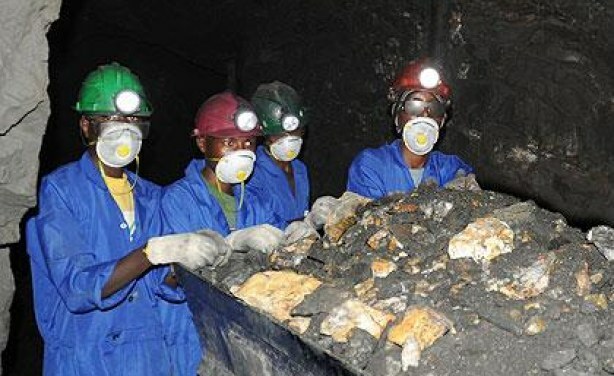 Zambia plans to increase mining royalties by 1.5 percentage points across the board, Finance Minister Margaret Mwanakatwe said in her 2019 budget speech in September. The current tax rates range from 4 percent to 6 percent, depending on the copper price. The government also proposed a 10-percent charge if the metal climbs above $7,500 a metric ton. Royalty capped at 7.5 percent when copper price is above $7,500 per metric ton, rather than the planned 10 percent. Maintain royalties as tax deductible. Increase cobalt royalty by 0.5 percentage points, rather than the government’s planned 8 percent royalty. Scrap planned copper and cobalt concentrates import duties. The companies hope to avert the outcome through “robust engagement,” it said. A finance ministry spokesman and a government spokeswoman didn’t immediately respond to calls and text messages seeking comment.